Do you know how much revenue you are losing every day because of unfilled jobs? The cost of vacancy for most companies is thousands of dollars. 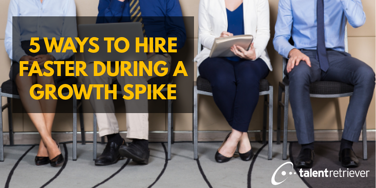 Unfilled positions on your team equals opportunities being missed, and revenue being lost. Here’s how to calculate the cost of your open jobs and how much revenue you are losing ever day. Calculating the cost of lost revenue for a position is pretty straightforward. Example: $10M in revenue / 50 employees = $200,000 per employee. Step 4. Total open positions * daily revenue lost per employee = total revenue lost per day for all open jobs. And to be clear - revenue generating employees does not just mean sales positions. Any position that is working towards making the company or products and services better, is working toward generating revenue. Whether that means marketing, product management, developers, even those in HR. More often than not, an employee is a revenue generating employee and their impact is significant on the bottom line. There are a number of other costs to consider as well for unfilled jobs that don’t necessarily have a dollar sign attached them but are equally as important. It costs your team in leadership, skills and idea generation. With these things lacking it can take a toll on your employees and can lead to frustration, an inability to achieve goals – and an overload of work that gets put on the shoulders of others to pick up extra slack. This can lead to burn out, less quality work and eventually turnover. When you look at the cost of outsourced recruiting solutions. Whether it’s a full-service non-commission approach like Talent Retriever takes, or whatever it may be you are investing in stopping a loss of revenue and a more efficient workforce. So even though you can clearly see the dollar amount you are spending - the faster you decide to stop relying exclusively on job boards or your career page for your sole recruitment strategy the faster put an the loss of potential revenue. Want 5 ways to hire and close the gap on your untapped revenue?